Lasem off piste ski area. Mount Damavand is the highest ski resort in Iran for ski touring, wild ski expedition, ski mountaineering and snowboard. Damavand receives heavy snowfalls in winter because of its vicinity to the Caspian Sea. The south route is not technical and it is an ideal route for Damavand Ski Touring and snowboarding. Skiing on other sides is difficult. There is no mechanical facility such as gondola or telecabin lifts in the area and you should ascend on feet or on skis. Depending to the weather the amount of snowfall, Damawand Timing is different each year, the ski season may starts from mid November and last untill mid May. It is a good idea to check the amount of snow in the area before you fix your plan and travel to the area. Ski mountaineering, ski touring, climbing, hiking & trekking, wild ski, snowboard, off-piste skiing, dowhill ski, snowshoe. This GPS track file is ideal for ski and snowboard lovers to enjoy about 3000 meters long distance and 1400 meters vertical drop during winter and descend from the summit to camp3. It is the best descend track of the south route ideal for wild ski and freestyle downhill to avoid rocky parts. This descend trail is located between Damavand peak 5671m and the Camp 3 New Hut 4250m, the covered area is without any guideposts. In good visibility you can find your way easily. Please note this track is different from ascend trail. Located on Haraz Road 80km North East of Tehran, in Mazandaran Province. Fly to IKA Int Airport in Tehran and then travel by car to Polour Village, the journey is about two hours drive from Tehran. After a heavy snowfall, snow chains may be necessary for some part. Note, Haraz Road is crowded with traffic jams in Persian holidays and weekends. Major ski resorts near the area. Damavand Skitouren. Skitouren auf Damavand Iran montieren. Ski- und Snowboard-Expeditionsreisen nach Damavand Iran. Langlauf und Ski alpin, Ski Touring-Resorts. Skitouren und Skitouren zu Alborz & Zagrosgebirge Iran. Wintersport Touren Persien. Iran Bergsteigerverband Resorts für Skiurlaub. Iranische Skitourenverbände . Iranische Ski- und Bergführer. Iran Off-Piste Ski-Touren. Damawand Wandern Wandern, Skifahren und Bergtouren. Iran Ski- und Snowboardtouren . Demavand Skiurlaub Touren. Damavand Ski Touring. Ski Mountaineering Tours to Mount Damavand Iran. Ski and snowboard expedition tours to Damavand Iran. Cross country and Alpine skiing touring to ski resorts. Ski touring and ski mountaineering to Alborz & Zagros Mountains Iran. Winter sport tours Persia. Iran mountaineering federation resorts for ski vacation. Iranian ski mountaineering associations. Iranian ski and mountain guide. Iran off-piste ski activities tours. Damawand hiking trekking, skiing and climbing tours. Iran ski and snowboard tours. Demavand ski holiday tours. Damavand Weather Forecast. 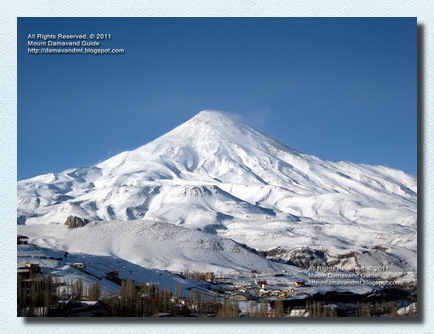 Damavand Weather and Snow Forecast. Touring Damavand esquí. Esquí Alpinismo Tours al Monte Damavand Irán. Esquí y Snowboard expedición tours a Damavand Irán. De fondo y esquí alpino de gira a las estaciones de esquí. Esquí de fondo y esquí de montaña a Alborz y Zagros montañas de Irán. Deporte de invierno recorre Persia. Irán resorts federación de montañismo para vacaciones de esquí. Asociaciones de montañismo esquí iraníes. Esquí iraní y guía de montaña. Irán fuera de pista de esquí Actividades excursiones. Damawand senderismo trekking, esquí y escalada tours. Irán esquí y snowboard excursiones. Viajes de vacaciones de esquí Demavand. Touring Damavand ski. Tours de ski alpinisme au mont Damavand Iran. Ski et snowboard expédition visites à Damavand Iran. Ski de randonnée et le ski alpin des stations de ski. Ski de randonnée et de ski alpinisme à Alborz & Monts Zagros en Iran. Sports d'hiver tours Perse. Iran alpinisme fédération stations de vacances de ski. Associations iraniennes de ski alpinisme. Ski iranien et guide de haute montagne. Iran activités hors-piste de ski visites. Damawand randonnée randonnée, le ski et d'escalade. Iran ski et de snowboard visites. Demavand visites de vacances de ski. Damavand Ski Touring. Sci Alpinismo Tours a Monte Damavand Iran. Sci e snowboard spedizione visite a Damavand Iran. Sci di fondo e sci alpinismo alpino alle stazioni sciistiche. Scialpinismo e sci alpinismo a Alborz e Zagros Mountains Iran. Sport invernali tour Persia. Iran resort alpinismo Federazione per vacanza di sci. Iraniani associazioni scialpinismo. Ski iraniana e guida alpina. Iran fuori pista attività skitour. Damawand escursioni trekking, sci e arrampicate. Sci alpinismo e snowboard Iran. Demavand tour vacanza sci. Damavand Ski Touring. Ski Mountaineering Tours til Mount Damavand Iran. Ski og snowboard ekspedisjonsturer til Damavand Iran. Langrenn og alpint touring til skianlegg. Skiturer og ski fjellklatring til Alborz & Zagros-fjellene Iran. Vintersport turer Persia. Iran fjellklatring federation skianlegg for skiferie. Iranske ski fjellklatring foreninger. Iransk ski og fjellguide. Iran off-piste ski aktiviteter turer. Damawand fotturer trekking, ski og klatreturer. Iran ski og snowboard turer. Demavand skiferie turer. Damavand лыжного туризма. Альпинизм Туры в Демавенд Иран. Горные лыжи и сноуборд экспедиции туры в Damavand Ирана. Беговые и горные лыжи гастроли на горнолыжные курорты. Лыжные прогулки и лыжный альпинизм Алборз и Загрос Иран. Зимние виды спорта туры в Персию. Иран Федерация Альпинизма курорты для горнолыжного отдыха. Иранские Альпинизм ассоциации. Иранский лыж и горный гид. Иран внетрассового катания Катание на лыжах туры. Damawand Туризм треккинг, горные лыжи и восхождения с гидом. Иран лыж и сноубордов туры. Demavand лыжный праздник туры. Damavand lyzhnogo turizma . Al'pinizm Tury v Demavend Iran. Gornyye lyzhi i snoubord ekspeditsii tury v Damavand Irana. Begovyye i gornyye lyzhi gastroli na gornolyzhnyye kurorty . Lyzhnyye progulki i lyzhnyy al'pinizm Alborz i Zagros Iran. Zimniye vidy sporta tury v Persiyu . Iran Federatsiya Al'pinizma kurorty dlya gornolyzhnogo otdykha. Iranskiye Al'pinizm assotsiatsii. Iranskiy lyzh i gornyy gid . Iran vnetrassovogo kataniya Kataniye na lyzhakh tury. Damawand Turizm trekking , gornyye lyzhi i voskhozhdeniya s gidom. Iran lyzh i snoubordov tury. Demavand lyzhnyy prazdnik tury.